So! 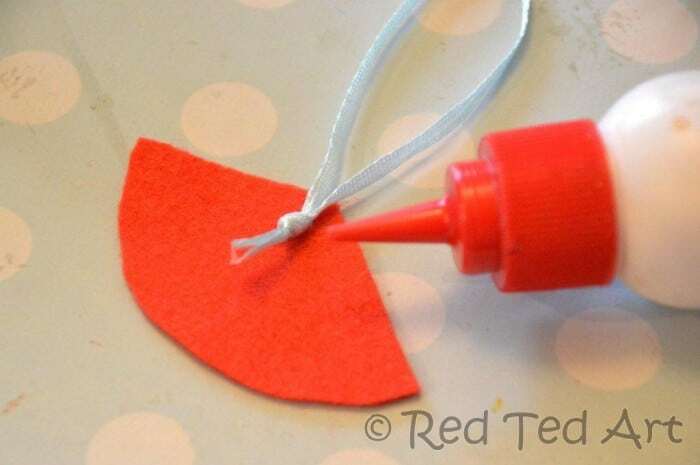 Today I have a quirky little craft that can go “two ways”: either you make our cute little Santa Craft and hang it up on your tree as an ornament. 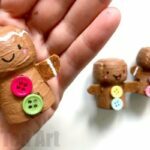 We do love a DIY Christmas Ornament or two! 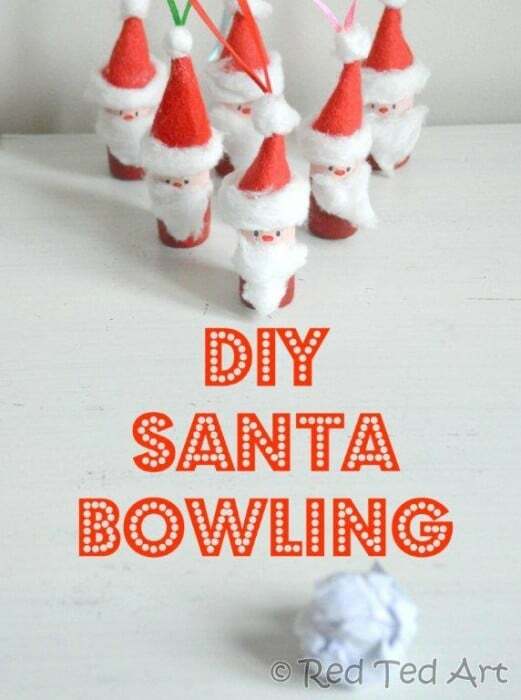 Or you make at least 6 of these and create your very own little Santa Craft bowling game. Which will it be? We set out to make ornaments… but as the corks stood their drying, I suddenly thought – hey, I bet the kids would LOVE to bowl with them too. Now I can’t decide.. ornament or bowling?! I give you both options, you decide. 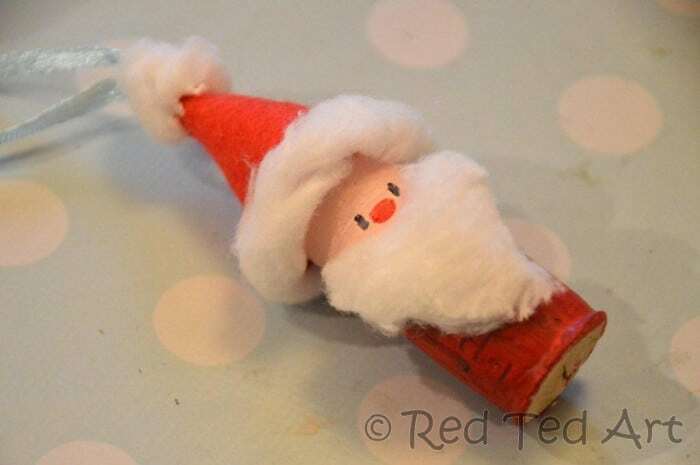 Lots more festive Cork DIYs here! 2) Using a glass (medium to large – e.g. 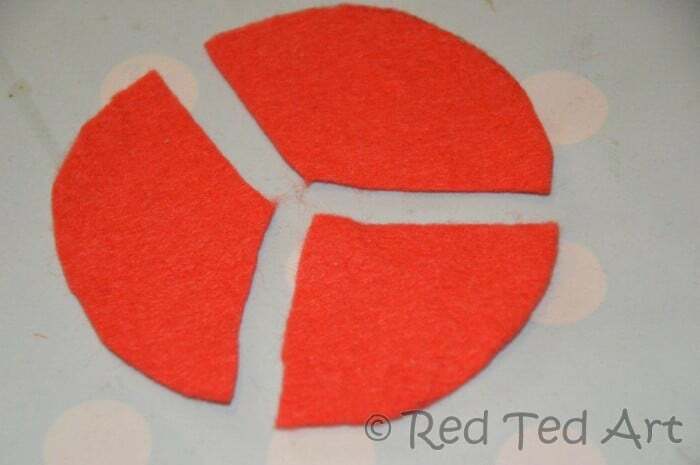 6-8cm in diameter), draw a circle on your felt. Cut this into thirds. Each third will be enough for one hat. 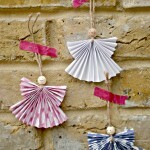 3) (If you want to use these as ornaments, then..) Take a piece of ribbon, tie a knot in the end. I double knotted it, so that you can glue it into the hat more easily. 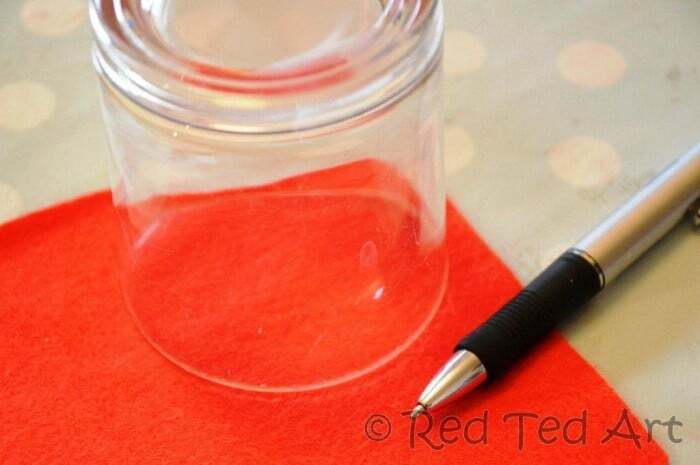 4) Place your ribbon inside the pointy bit of your 1/3 of a circle. Then align the straight edge (trapping the ribbon inside) and glue down – this is when a hot glue gun is much easier. It does work with PVA or fabric glue, but it gets a bit messy as the felt absorbs a lot of glue. You can always use some red card instead, which you may find easier to stick. 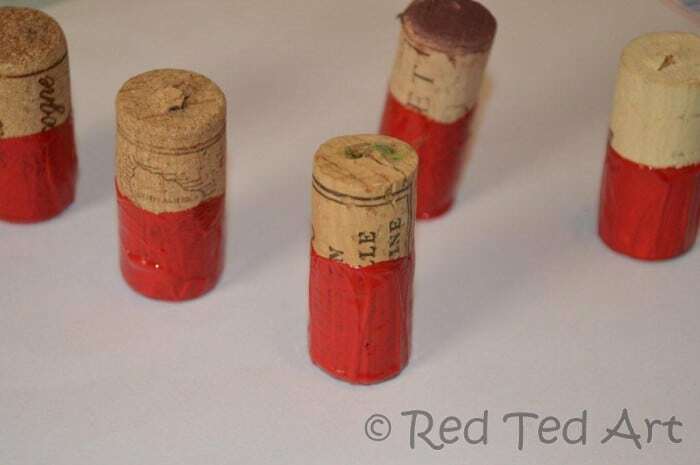 5) Once dried, glue the hat to your cork. If it isn’t a perfect fit, don’t worry, the cotton wool will cover it up. 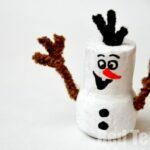 6) Unroll your cotton wool and tear off a strip for the hat brim, cut a triangle for the beard and make a little ball for the top of the hat. 7) Glue the hat brim, the bobble ball and beard in place. You can shape it a little once stuck on by patting it down or trimming it with nail scissors. We made a little ball by scrunching up a piece of paper (aka snowball) and had a go at Santa bowling! The kids think the Santa Bowling is hilarious. 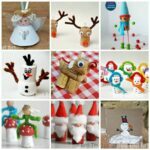 Which would you do – ornament? Or bowling? Thanks for hosting Maggy! 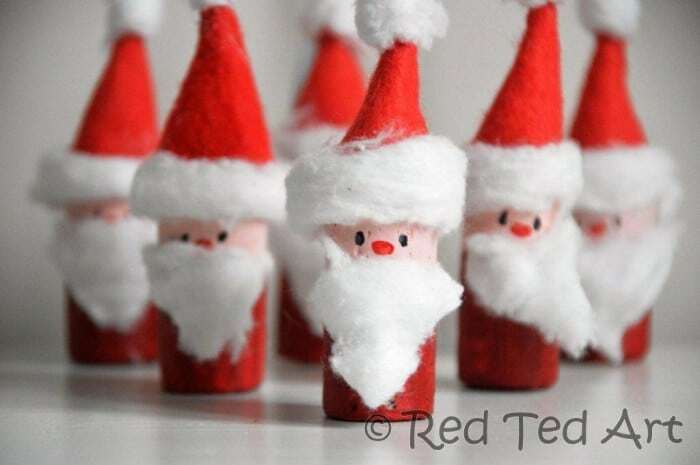 I just love your little Santas!!!! 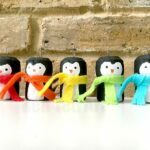 Super, super cute! I want to make a bunch for my tree!!! Thank you Rachel and thank you for joining in!! These are so cute! I won’t want to knock them over. Love these so much! I really appreciate the tutorial on making the Santa hats. 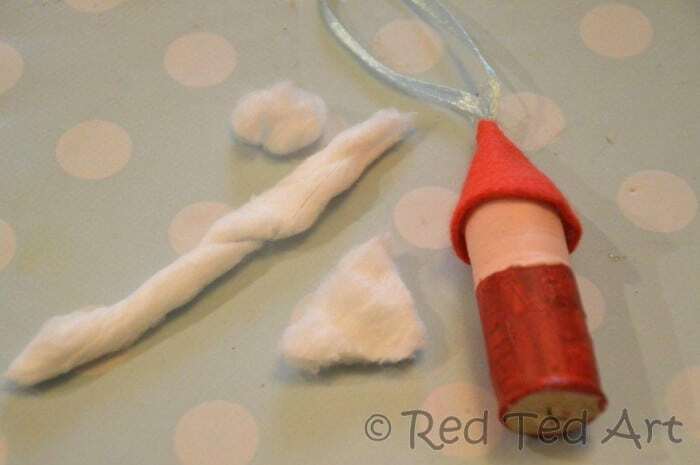 I’ve wanted to make little felt gnomes for a while but wondered how to get the cone shape for the hat. This is so simple. Thank you! These are really cute! Thanks for hosting! Thank you everyone. So pleased you like them! And yes Ness, the hats are quite easy, when you know how. Glad I could help!!! They are so sweet! I’m going to have to start gathering up a few corks! Cute! I agree with jdaniel4smom, too cute to knock over. However, I live in a house with all males so I’m sure they’d LOVE to knock them over. Maybe a set for the tree and a set to play? Hehehe yes it does seem a bit mean to knock them all over! Love, love, LOVE these. 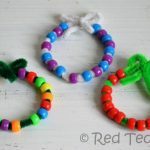 Featuring you at For the Kids Fridays this week! Woot, Woot! Oh how I love these Santas! 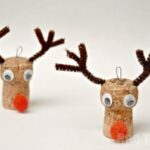 They’re adorable, and a great idea for all those corks I have piling up. Awe so pleased you like them!! 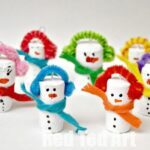 We made them as Christmas ornaments! My first graders loved them! Thanks for such a good idea. So nice. I will make both. Cork for my tree and tpr to bowl with.